Phone photographers and videographers searching for a total smartphone video kit that offers an all-in-one video rig for any phone may be interested in the SmartCine which was released through Kickstarter this week. The SmartCine phone video digicam rig designed and created by Movo photo. The SmartCine is a versatile and bendy video kit that’s to be had in versions. 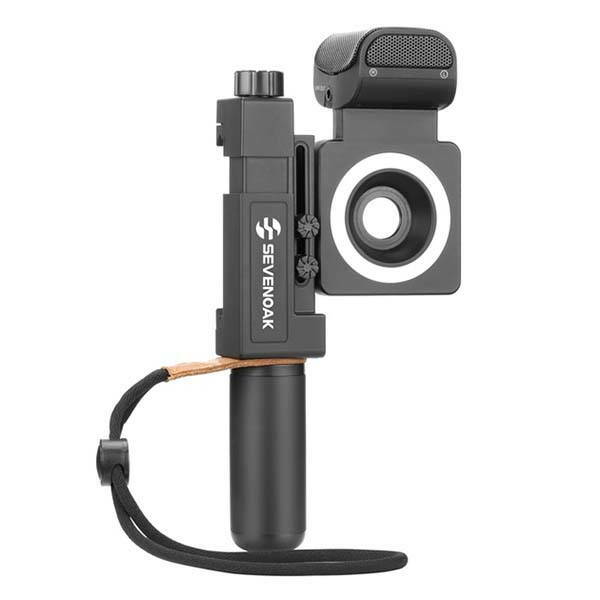 The wired version connects with your phone thru a cable with 3.5mm audio connector, and the wireless version comes with an integrated 2.4GHz receiver and an individual wireless bodypack transmitter. Both models feature a custom phone holder that helps nearly any cellphone the usage of an adjustable grip that opens between 2.2 to 3.82 inches, and its rubberized take care of gives a company and comfy grip. Meanwhile, built-in wellknown 1/4-inch tread permits it to work with any tripod and selfie stick for strong shoots and video recording. Furthermore, using integrated LED ring light with 36 LEDs, the smartphone video kit helps you highlight your eyes and light up the scene, and built-in rechargeable battery offers up to 4 hours of light out on a single charge. Moreover, a lens mount has built at the center of the LED ring light, and included 0.45x wide angle lens and fisheye lens give you a broad field of coverage. The wired version has a stereo X/Y condenser mic with low cut filter and pad switch, and the wireless model features a 2.4GHz wireless Lavalier mic. Both models deliver clear audio recording, but the wireless model can capture one speaker with clarity clear even from far away. The team behind SmartCine is raising fund for the product on Kickstarter. We can pledge $70/$140 to preorder the smartphone video kit. Both models will be shipped in January 2019.